If sibling rivalry inspires excellence through competition, then this must surely explain why Chevy has produced two of the most excellent trucks on the market this year: the 2016 Chevy Colorado and the 2016 Chevy Silverado 1500. Comparable in many of their standard and available features, these two pickups offer seemingly equally great options for the consumer in the market for new Chevy trucks for sale. Here’s a quick rundown of the major differences and similarities between the two, and with it our judgment as to which model we believe to be more worthy of your hard earned money. There’s so much that works to define the Silverado, power being not the least among them. This truck is simply made to be strong, with three EcoTec3 engine options spanning a variety of towing and efficiency capabilities. These are balanced engines, with the standard 4.3L V6 EcoTec3 engine capable of a best-in-class 305 lb-ft of torque and a 7600 lb towing capacity at an impressive 18 mpg city and 24 mpg highway; there’s also the 5.3L V8 capable of a best-in-class 16 mpg city and 23 mpg highway at an impressive 11,100 lbs of towing capacity; finally, there’s the 6.2L V8 with a best-in-class 12,000 lb towing capacity and boasting 420 horsepower at 15 mpg city and 21 mpg highway. The Silverado can pretty much handle any huge truck task you care to throw at it and really won’t use a ton of gas doing so. This is thanks, in part, to the Active Fuel Management, Direct Injection and Continuously Variable Valve Timing technologies that optimize performance and minimize fuel usage in this impressive generation of engines. Although notably less powerful than the Silverado, the 2016 Colorado far outstrips its sibling in terms of fuel efficiency. This scrappy mid-sized truck also offers a choice of three engines: the standard 2.5L I-4 engine that boasts 27 miles per gallon highway – more than any other pickup – and a 3,500 lb towing capacity thanks to Direct Injection and Variable Valve Timing technology; then there’s the 3.6L V6, complete with Spark Ignition Direct Injection and deceleration fuel cutoff technologies to yield 26 miles per gallon highway, a best-in-class 305 horsepower and a 7,000 lb towing capacity; finally, there’s the impressive new Duramax 2.8L I4 turbo-diesel engine, capable of 181 horsepower and an impressive 369 lb-ft of torque. 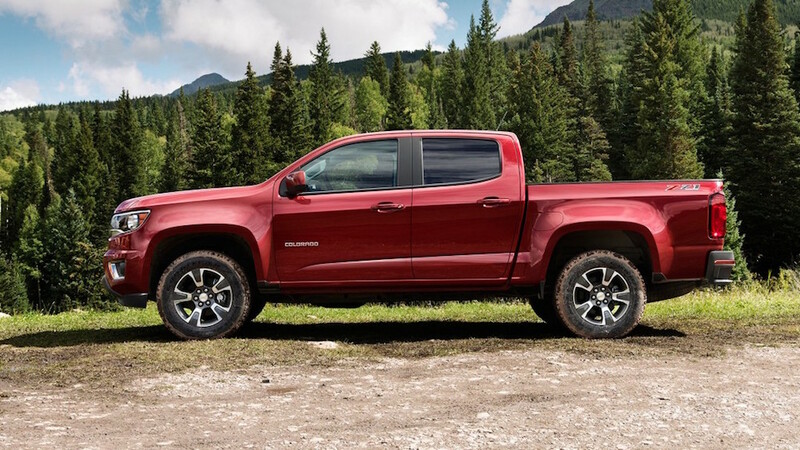 The Colorado, with its highly efficient engine spread, promises fewer stops at the pump than the Silverado – although you’ll lose a few hundred pounds of towing and a good deal of horsepower to get it. These trucks are remarkably similar in design, although each has its own distinct touches that make these two similar trucks actually quite a bit different. Undeniably, the Silverado is the more premium truck – it’s the full-size option, compared to the mid-size Colorado, and its added amenities and improved performance are reflected in its higher price tag. Still, given the careful give and take consumers consider when deciding between trucks like these, it’s still worthwhile to look at how the two stack up in the finer details. The two share many similar exterior design elements, including a muscular, shaped front hood with a bold profile and a sleek cab style. Each available in a regular or crew cab (the Silverado also features a double cab trim), these two trucks differ only in their distinctive front fascia styles: the Silverado looks a bit more cornered and aggressive, while the Colorado stays sleek with its wraparound headlamps. Boasting an impressive LT Z71 offroading package trim option, the Silverado rings in with seven trim options and ten available paint colors; the Colorado features only the four trim styles (Base, Work Truck, LT, and Z71) and only nine paint options. The Colorado comes standard with 16-inch Ultra Silver metallic steel wheels with the option to upgrade to 17-inch or 18-inch metallic cast aluminum wheels; the Silverado, on the other hand, boasts standard 17-inch painted steel wheels with 18-inch aluminum and 20-inch aluminum or chrome options available as well. Although a few inches shorter than the base-level Colorado, the base-level Silverado boasts more passenger room and a three-person seating capacity to beat the Colorado’s dual-passenger capacity. The highest level Silverado is also significantly longer, wider, and roomier than the largest Colorado, offering even more space to those willing to pay for the luxury. As far as inside the cab goes, there’s not a lot of difference between the two base models. 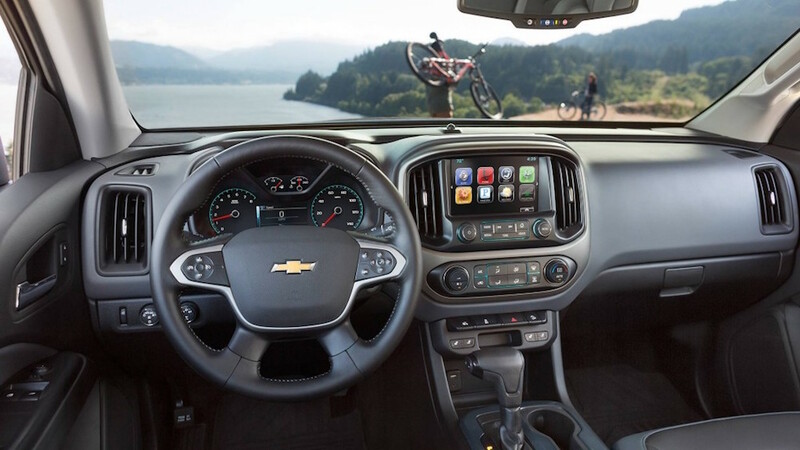 Each features an AM/FM audio system with a 4.2-inch diagonal color display, with the option to upgrade to an 8-inch diagonal touchscreen display featuring Chevy MyLink connectivity technology. This is available standard in the LT trim level of both trucks. Between heated seats, premium leather and cloth interior options, remote keyless entry and a variety of packages and upgrades, these two trucks really match one another in terms of amenities and options for personalization on the inside. One of the few major differences – and one that really puts the Colorado above the Silverado, is in the available audio systems. The Silverado comes with a standard four-speaker system or a Bose six-speaker system available only in the Double Cab’s LT trim level or higher. The Colorado, however, comes with a standard six-speaker system and can upgrade to a seven-speaker Bose system available in the Extended Cab’s LT trim level – one more speaker, for nearly $10,000 less in MSRP. 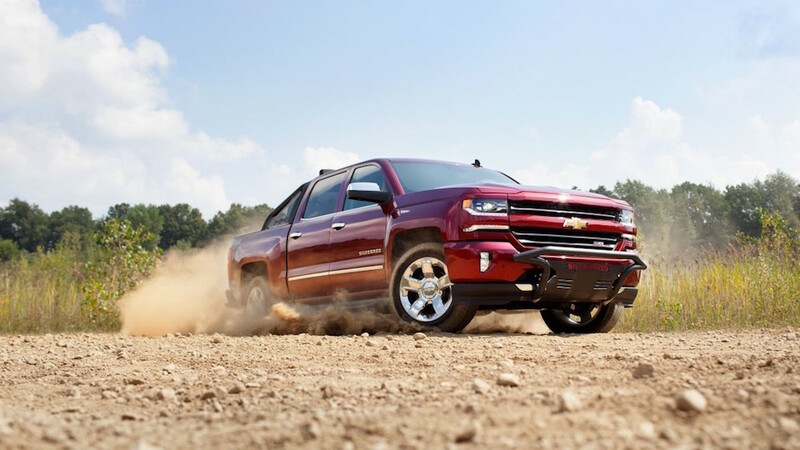 The Silverado offers one special edition model for 2016, dubbed the Highcountry edition. This impressive iteration pulls out all the stops, with amenities from chrome accents on the exterior to the full tech workup in the cabin to bring one fully fleshed-out, impressive work truck. But at an MSRP of $52,815, this truck is worth just about every one of those many, many pennies you’ll be spending on it. As of now, the Colorado does not offer anything other than its four base trim levels over the extended or crew cabs. These two trucks are also fairly equitable when it comes to safety, with Chevy coming through on their professed desire to maximize safety and minimize passenger harm in all of their vehicles. For these trucks, that comes in the form of standard airbag systems with dual-stage front and side airbags, StabiliTrak stability control technology, a tire pressure monitoring system, and daytime running lamps all standard. The Silverado adds available Front and Rear Park Assist and Lane Keep Assist technologies as well as 6 months of OnStar Guidance Plan available on its higher trim levels, with several standard on the highest LT Z71 trim level. The Colorado, surprisingly, seems to out-shine the Silverado on this front. While it lacks some of the more high-tech options like Lane Keep Assist, the Colorado does come with a standard rear backup camera and traction control across its trim levels, as well as six months of access to OnStar Guidance and, additionally, a five-year subscription to the OnStar Basic Plan available on the WT trim level and standard on the LT and LTZ trim levels. These two trucks are, without question, amazing contenders in the pickup market today. They each offer similarly dependable performance with impressive capabilities, all without sacrificing any of the creature comforts that attract consumers so readily. For your money, however, we have to recommend the Colorado. 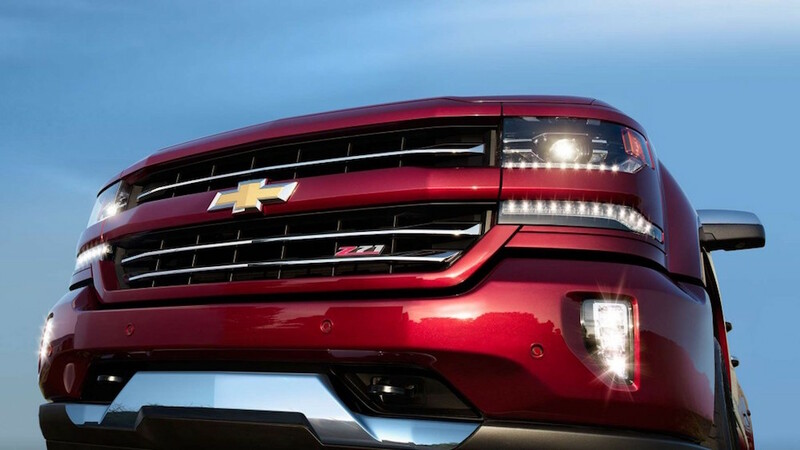 Although notably lacking in many of the premium features and technologies that make the Silverado so great, and boasting significantly less towing and performance power, the Colorado is simply unmatched in efficiency. It also offers many of the same amenities as the Silverado for a much lower price, and some of the Colorado’s standard options are actually better than those of the Silverado. 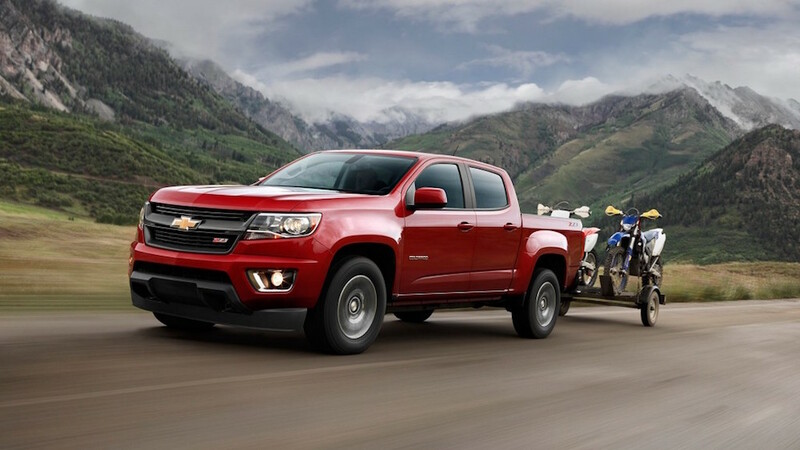 So the next time you’re in the market for a reliable new pickup that you’ll be proud to drive off the lot and for many, many miles after that, look to the 2016 Chevy Colorado or the 2016 Chevy Silverado 1500 – whichever one floats your boat, we’re sure you’ll be happy either way.